Alcoholism is a widespread issue in the US. It’s estimated that approximately 16 million Americans struggle with an alcohol use disorder. That number’s worryingly high for a preventable disease that packs serious physical, mental and social consequences. Depression, stress, anxiety, insomnia. Heart disease, cancer, liver damage, and death. These are just a few of the potential implications of alcohol abuse. But an alcohol use disorder doesn’t occur overnight. In fact, there are four distinct stages of alcoholism as defined by E. Morton Jellinek in the 1960s. These are Pre-alcoholic, Early Alcoholic, Middle Alcoholic, and Late (or End Stage) Alcoholic. And given the risks, understanding the signs of each stage can help. Simply, it enables you to identify problem drinking. Furthermore, understanding the available treatments for each stage can be reassuring and empowering. 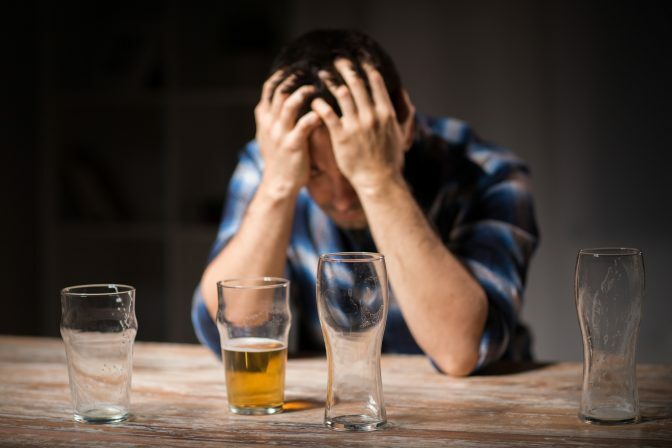 Keep reading to learn how to spot the 4 stages of alcohol addiction and how to treat them. Let’s begin by considering in turn exactly what each stage looks like. Spotting a problem at the pre-alcoholic stage can be difficult. Drinking is primarily social, with friends, at weekends, at parties or after work. You might have an occasional binge and subsequent hangover, but otherwise, everything probably appears perfectly normal. Over time your tolerance levels rise though. And the amount you drink rises with it. It’s a vicious circle: the more you drink, the more you can handle, so you drink more to experience the same effects as before. At the same time, you might start drinking to reduce stress, worry or anxiety. And from here it’s a slippery slope to the early alcoholic stage. The second phase in the progression of alcoholism may also go unnoticed. But eyebrows may begin to raise for your nearest and dearest. Your drinking has started to escalate. Your tolerance continues to build, and alcohol becomes a go-to response. Blackouts from excessive use start to occur. You may feel guilt over drinking, combined with intense difficulty resisting it. Drinking becomes a coping mechanism for stress. Thoughts start to focus on the bottle. Things are now quite serious. Physical and psychological changes are taking place. These can include facial redness and weight gain, as well as nausea, headaches, sweating and the shakes. Without alcohol, you might also experience anxiety, depression, and insomnia. Drinking has become a requirement you can no longer hide from friends and family. The process of loss begins. You abandon hobbies and other enjoyable activities to drinking. You start to lose loved ones. Your hygiene suffers too, and general personal care slips. You may begin drinking alone or in inappropriate settings, like with your children or when driving. Guilt builds. Intense cravings develop. You might try to quit but find it impossible to do so. In the end stage, you no longer hold the bottle. The bottle holds you. This is the final phase of alcoholism. You’ve now lost control. It’s also known as a “chronic,” or “conclusion” stage and entails a cataclysmic process of loss. Loss of relationships. Loss of job (though you may hold it down for a while, despite a constant focus on the drink). Loss of physical and mental health. You are increasingly likely to experience serious wellbeing issues. This can include blackouts, insomnia, seizures, liver cirrhosis, cancer, heart failure and brain damage. Debilitating withdrawal symptoms (nausea, tremors, primary irritability, and hallucinations) occur if you don’t drink. Life is hazardous, and you need immediate support. Hopefully, you now know the different stages of alcoholism. Let’s turn to the treatments that are available for them. Untreated alcoholism can ruin lives. According to the NCADD (The National Council on Alcohol and Drug Dependence), the overuse of alcohol is responsible for 88,000 deaths every year. It’s important to seek help if you, or people you know, abuse alcohol. Recovery from alcoholism isn’t easy. But treatment for addiction is readily available. 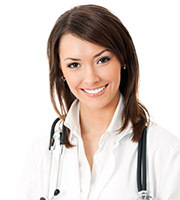 The treatment required will often depend on your particular stage of alcohol addiction. For instance, at a pre-addiction level, you might seek an appointment with a Doctor to discuss your concerns. This may lead to a referral to a specialist. But at later stages more advanced help is required, such as interventions. And end stage alcoholism is likely to need a combined therapeutic, detoxification and rehabilitative program. Here are some common forms of treatment for alcohol addiction. 12 Step Programs: think Alcoholics Anonymous (AA). Work through a series of steps to overcome your alcoholism. Inpatient rehabilitation: living in a facility during rehab support. Outpatient rehabilitation: living outside and coming to the facility as required for rehab. Group counseling: working therapeutically in a group of others, led by a clinician, to help overcome alcoholism. Individual therapy: one-to-one therapeutic support to help overcome alcoholism. As you can see, there are many different forms of treatment available. Often, the most challenging step is first spotting and acknowledging the problem. If you’re unsure which approach you need, be sure to speak with a professional service like ours in Salt Lake City, Utah. How to identify and treat the four main stages of alcoholism. Remember, any alcohol use disorder takes time to develop. It progresses from a growing tolerance of pre-addiction through the increasingly debilitating early and middle stages. Finally, the alcoholic experiences total loss of control in the end stage of alcoholism. You or someone you know may be somewhere along this process. Alcohol disorders have serious negative consequences. Hopefully, the information here helps you recognize and understand alcoholism better to seek the necessary support. Remember, alcoholism is prevalent, and you are not alone. Help is available, and even late-stage alcoholism is treatable. Better Help Addiction Care is here for you. Check out our website for more information on alcohol addiction and to access treatment. Or contact us now on 385-444-7021 to find help.